These discs are used to burner loose herb, gum and resin incenses. 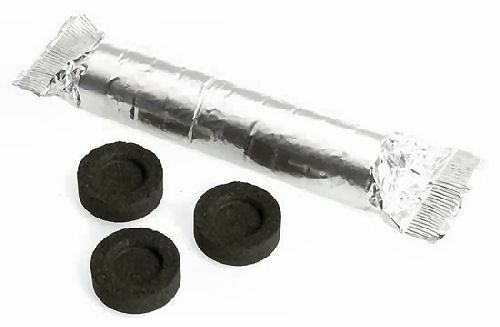 Each pack contains 10 charcoal discs. Remove a tablet from packagingand place on censor or heat proof dish. Light the edge of the disc with a taper, long hadled lighter or long match. The tablet will give off sparks and then light across its surface. Let the disc become hot and glowing before adding your incense. The disc should be allowed to burn out and cool down before throwing away. Caution: Do not hold discs when lit. Never leave lit products unattended.